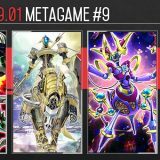 Welcome to Week #0 of the OCG 2019.04 format. 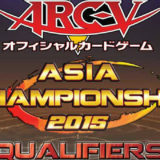 This preliminary report will cover 164 top-performing decks from 29 tournaments that were held in Japan and China during 16 – 31 March 2019, played under the new OCG 2019.04 Limit Regulation. 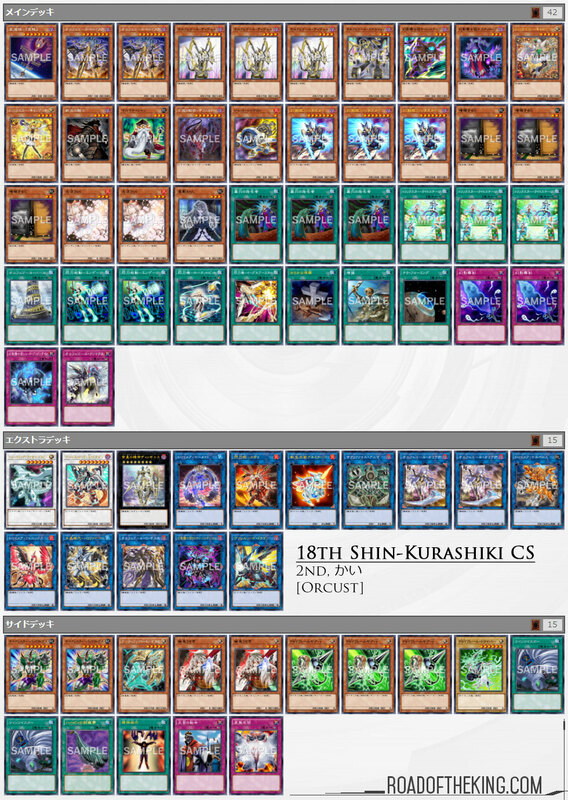 Kai (かい) went 7-0-1 and finished 2nd in “18th Shin-Kurashiki CS” (Team 3v3) which had 31 teams (91 participants). 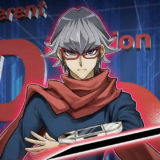 As Armageddon Knight and Speedroid Terrortop are now limited, he has chosen to run Trickstar and Sky Striker engine. These are currently the more popular engine among Orcust builds. ATSU went 6-2 and finished 2nd in the same team as Kai. ATSU has chosen to run Sangan and Assault Mode engine. Normal Summoning Sangan and then using it to Link Summon Salamangreat Almiraj would trigger Sangan‘s effect and have it add Crusadia Arboria from deck to hand. 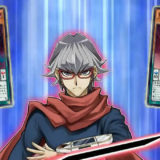 As Special Summoning Crusadia Arboria is not activating an effect, it is not bounded by Sangan‘s effect, and could be Special Summoned to the zone where Salamangreat Almiraj is pointing to. The Assault Mode engine on the other hand involves summoning Psychic Reflector (preferably using Emergency Teleport or One for One), and then using its Trigger Effect to add Assault Beast from deck to hand. Assault Beast will then be discarded for its own effect to add Assault Mode Activate to hand. Psychic Reflector Ignition Effect can now be activated to Special Summon Assault Beast from the graveyard. Assault Mode Activate is later used as discard fodder for Knightmare Mermaid. Both Sangan and Assault Mode engine comes with a Tuner Monster, so they can be used for the combos involving Crystron Needlefiber. Kinnikuso (きんにくそ) went 8-1 and finished 3rd in “36th Takatsuki CS with Hatti CS” which had 63 participants. The rise in popularity of Thunder Dragon is largely due to the limitation of Armageddon Knight. 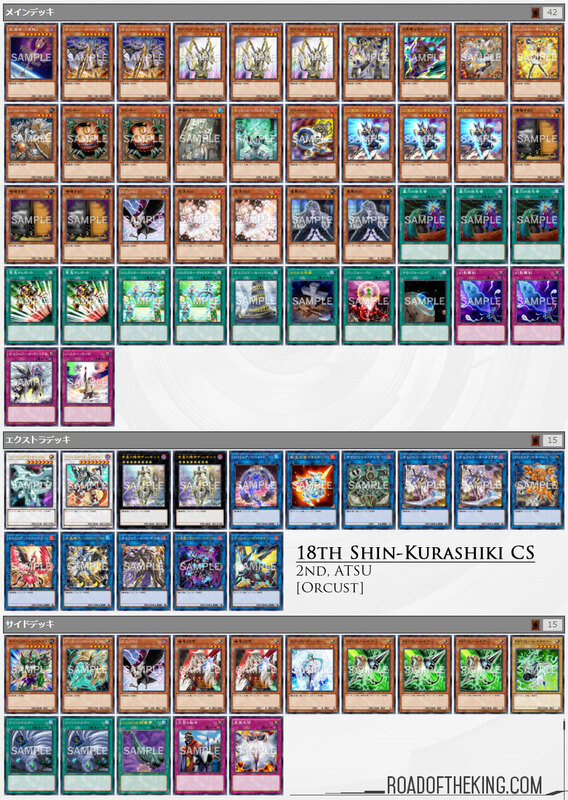 Without the convenience of Armageddon Knight into Destrudo the Lost Dragon’s Frisson, Orcust has to switch to using the Trickstar, Sky Striker, Sangan, Assault Mode engine to start their combo. 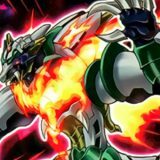 Thunder Dragon Colossus ① effect prevents the opponent from adding cards from the deck to hand, outright stopping Trickstar Light Stage, Trickstar Candina, Sky Striker Mobilize – Engage!, Sangan and Psychic Reflector. 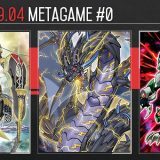 As both Orcust and Salamangreat are heavily reliant on adding cards from deck to hand, this puts Thunder Dragon in a strong position in the current OCG 2019.04 metagame. Lakers (れいかーず) achieved an incredible trifecta over these 3 weeks. On 16 March 2019, he went 5-1-1 and finished 1st in “7th Quality Cup” (Team 2v2) which had 33 teams (66 participants). On 24 March 2019, he went 5-1 and finished 1st in “95th Aichi CS Team Battle in NextPro Osu Shop with Hatti!” (Team 3v3) which had 34 teams (102 participants). 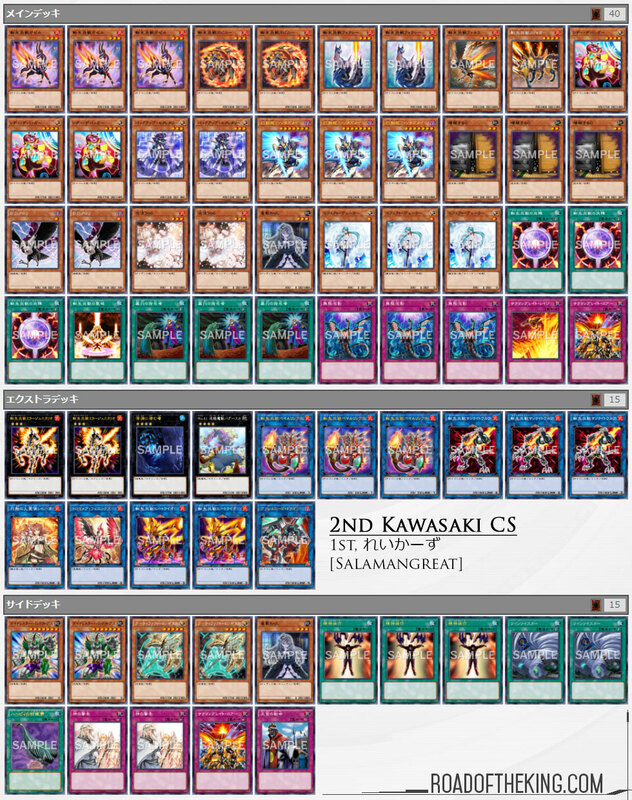 On 31 March 2019, he went 6-1 and finished 1st in “2nd Kawasaki CS” which had 54 participants. 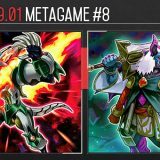 In his early build, he ran Psychic Wheeleder in his Main Deck and complement it with Vulcan the Divine initially, before switching over to Coral Dragon. However, in his latest build, he has chosen to drop Psychic Wheeleder for Backup Secretary instead. 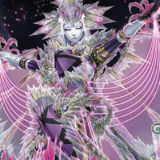 Backup Secretary is a Level 3 Cyberse Monster that can be Special Summoned from hand if you control a Cyberse Monster. 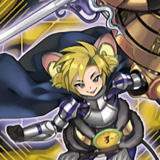 As a Level 3 monster, Backup Secretary fulfills a similar role as Psychic Wheeleder for Xyz Summoning Salamangreat Miragestallio. But being a Cyberse Monster as well, Backup Secretary has the benefit of being searchable by Lady Debug. 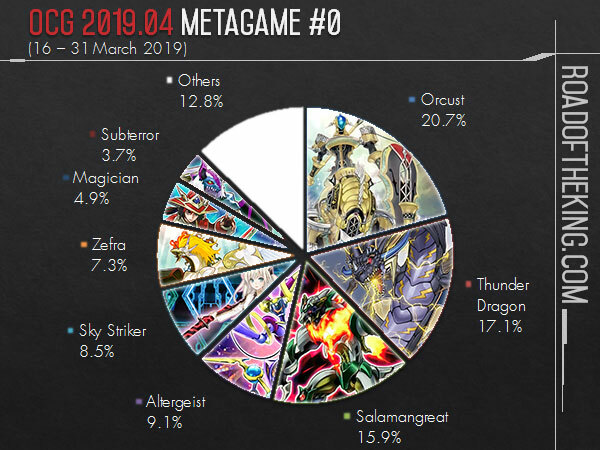 Orcust and Salamangreat carried their momentum from the previous OCG 2019.01 right into OCG 2019.04 and continues to be the top decks to beat. 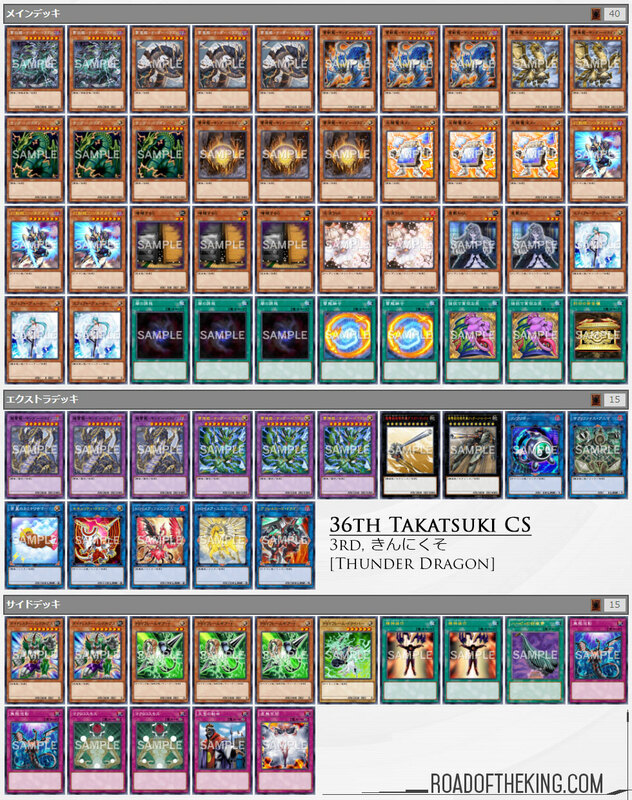 The rise of Thunder Dragon was a surprise, but quite a compelling result, especially since Thunder Dragon Colossus is effective against almost all the top decks. 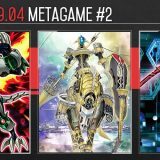 Even the next few decks – Sky Striker, Altergeist and Zefra – are all susceptible to being locked out by Thunder Dragon Colossus. 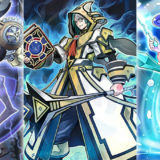 Sky Striker is reliant on Sky Striker Mobilize – Engage!, Zefra depends on Oracle of Zefra and Zefra Providence, and Altergeist has Sangan as a liability. 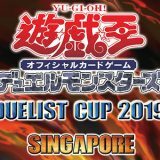 In the upcoming weekend is YOT Malaysia 2019 and it will be the very first major tournament to be played under the OCG 2019.04 Limit Regulation. If you enjoyed these Weekly Metagame Reports, do consider supporting Road of the King on Patreon. Thank you. 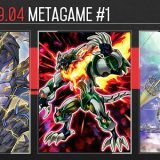 Hey, i wanted to ask for the reason on why ocg lists arent using will of the salamangreat and fusion of fire? Dudes please dont take that long a vacation again. Come on now. You’ve loyal readers here. It is interesting to see Orcust overtaking Salamangreat. What do you think of crusadia reclusia compared to backup secretary? 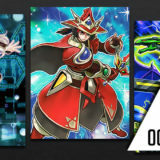 I’m also curious to know why most Ocg builds do not use Fusion of Fire, Will of the Salamangreat and Neo Space connector+Aqua Dolphin. Those cards are pretty common in the TCG. Mainly because of Maxx “C”. The existence of that card forces players into more conservative and less extended playstyles. I can’t find the Burn player’s decklist, am I missing it in the sources, or does someone else have it? Saladboi Nekroz or Code Talker list anyone?